In addition to this being a taco seasoning, the envelope suggests that it can be an “all purpose seasoning that can be used as popcorn seasoning, in Sloppy Joe’s, Chili, Eggs of any kind, or as a dry rub for beef, pork or chicken”. 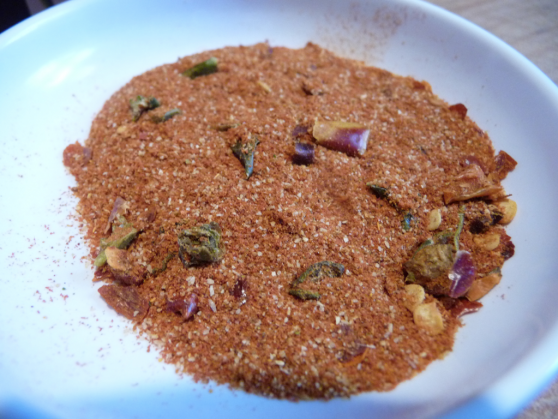 I would suggest and hope that Pepperika will offer this spice blend in larger quantities for rub purposes – say a 5 – 6 ounce shaker, or even a 1 pound bag. If you’re going to play with the big dogs of rub and competition BBQ, you need to offer larger quantities. And while I’m on the subject of bigger quantities, we routinely make 3 pounds of taco meat each time, so I personally would appreciate a larger size package. We added another 1/2 cup water, and simmered the meat a good 30 minutes. This really help bring together the flavors and made for a better mixture. It was too gloppy with only the 1/2 cup of water. Brian: I like the chunky bits of dried peppers in the mix. There’s quite a bit of heat in the mixture. It’s very spicy with a “Southwest” flavor. Marilyn: I’m really cautious about seeing such large bits of dried peppers in the mix. I’m afraid the bits of dried peppers will be too hot after they get hydrated. Turns out they mellowed a bit, especially with the leftovers. Brian: The overall mix is a fine blend of seasonings, with large bits of dried pepper flakes. Nice color. Marilyn: A larger grain of spices than you usually see in a taco seasoning mix – but the dried peppers are disproportionally large. Brian: Hot. Spicy hot. Very good, with a strong pepper flavor from the blend of 7 peppers. You usually have one, maybe 2 peppers in a commercial taco seasoning. This elevates this taco mix to a higher level. Marilyn: When I first tasted the meat with the recommended 1/2 cup of water, I got a lot of the tomato powder flavor. It was extremely thick, and the flavors couldn’t marry well. So we added another 1/2 cup of water to smooth things out – it simmered 30 minutes and I think it was quite an improvement. Brian: – When we first tasted the mixture, it was a “3”, but the next day, the leftovers were slightly milder: More down to a 2 1/2 out of 5. I agree with Marilyn, the leftovers were even better the next day. Marilyn: – I rated the leftovers at 3 1/2, which was very pleasing to me. I think the meat absorbed a lot of the heat. Typically, the leftovers are better – such as chile, tacos, spaghetti sauce… when the flavors have a chance to marry. Brian: – Nice black foil lined plastic envelope. True to Pepperika’s logo with a nice pic of a taco. I’ve already stated I’d like to see it offered in larger quantities. Marilyn: – I love how they outlined the label in peppers, and the picture and overall label is a great graphic presentation. 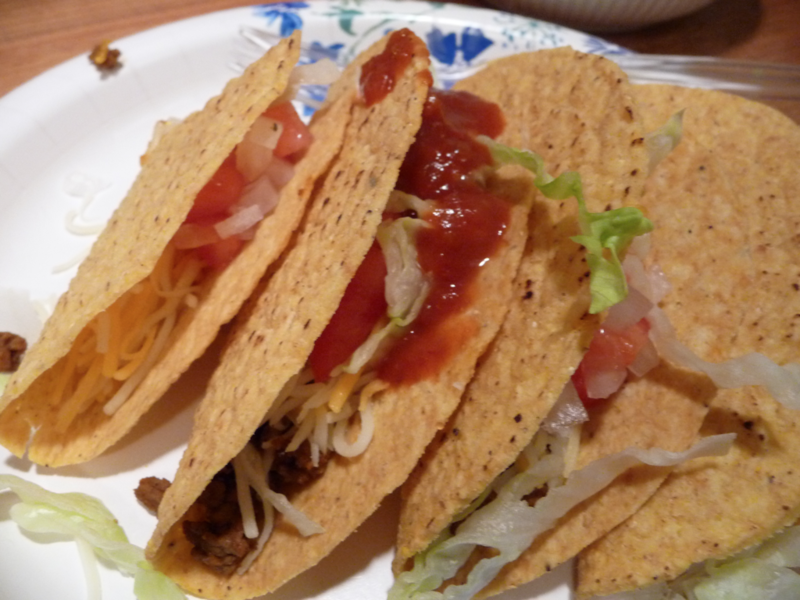 Brian: – Really delicious, spicy, hot taco seasoning. It differs quite a bit from my favorite homemade mix, but for a package it is light years ahead of what you typically find on the shelves. I recommend you try this yourself and see how a handcrafted taco seasoning is so much better than the stuff in stores. Marilyn: – If you like a little more heat and pepper flavor in your taco seasoning, this is a great purchase. 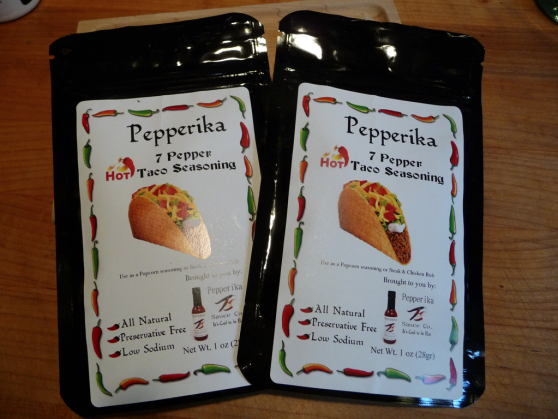 The sweetness of the Pepperika 7 Pepper Sauce is a great match with this seasoning on tacos. It’s all natural, preservative free and low sodium with a fresh taste that has a bite. Get 2 packs, not just one, so you’ll have leftovers. This taco seasoning as well as their 7 Pepper Hot Sauce is available at Pepperika.com. Tell them HotSauceDaily sent you! Thank you Brian & Marilyn! If you want to push or promote it as an all-purpose or bulk seasoning, 1 oz isn’t going to do it. I highly encourage you to re-package and re-name the very same mix as an all-purpose seasoning / rub. Name it Pepperika 7 Pepper Rub or Pepperika 7 Pepper All Purpose Seasoning? Just my opinion. I’ll be giving this one a try for sure. I still haven’t purchased the sauce. But now, I will have to look out for this seasoning when I do. Great review, you two. Thanks Ryan. The sauce and seasoning do go together well. You know what I like the most about this? It will keep my kids from eating all the taco meat before I get any! I will have to order a few packs and try this. 3 lbs of taco meat at a time? Damn…..you and Marylin must LOVE tacos, ha ha. I’ve not mentioned this fact until now… as good as Pepperika is… we still favor MY recipe for homemade taco seasoning. I encourage you to try it sometime.